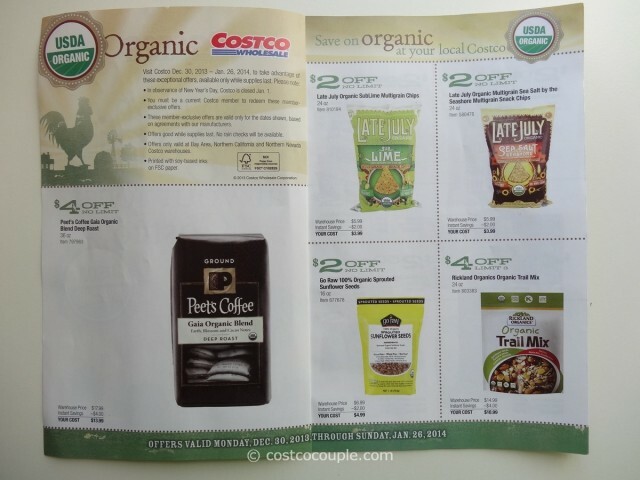 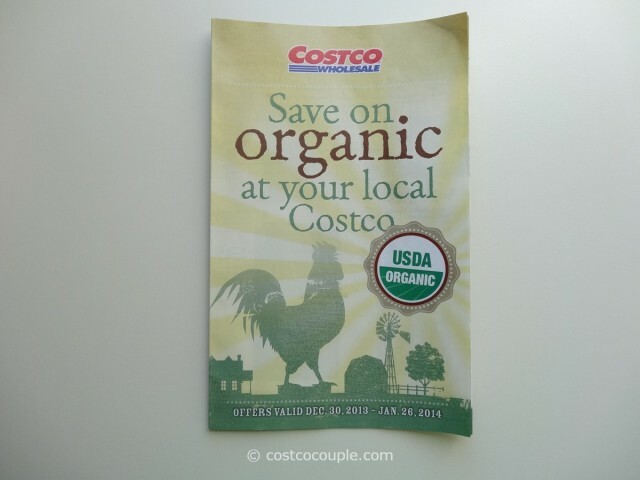 Once again, Costco is offering additional rebates for certain organic items in the store. 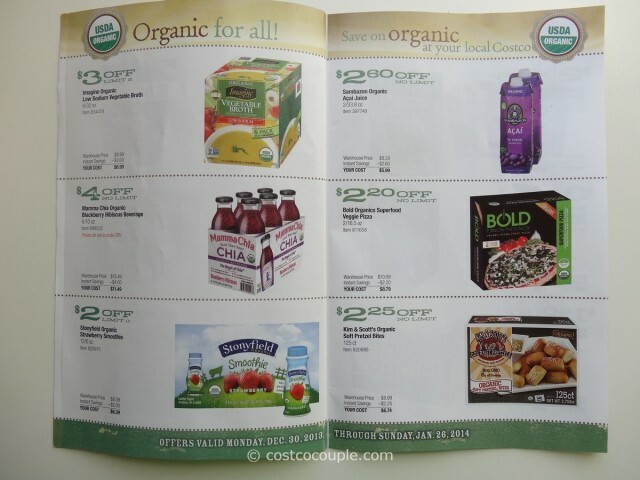 There was a similar offer back in September as well. 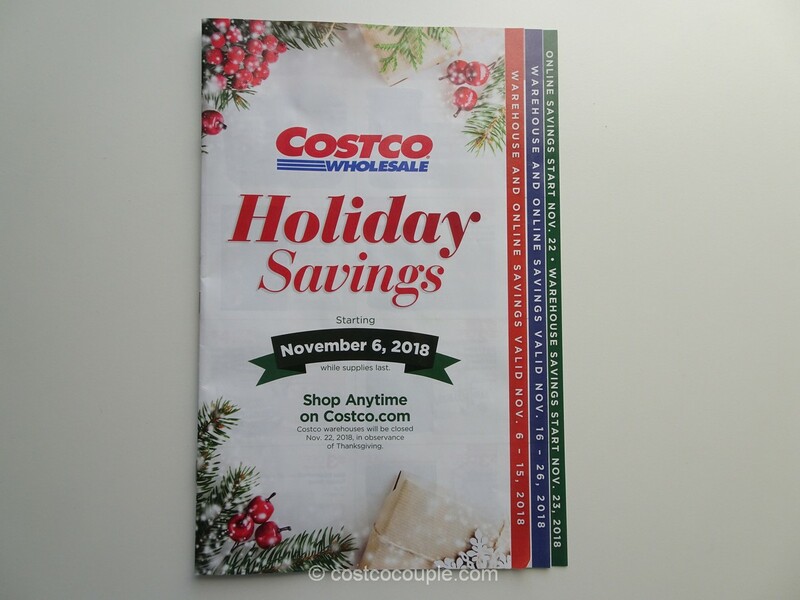 Unfortunately for those not living here, the instant savings are only available at Bay Area, Northern California and Northern Nevada Costco warehouses. The extra savings are valid from Monday 12/30/13, to Sunday 01/26/14 and offer is good while supplies last. No rain checks will be available! 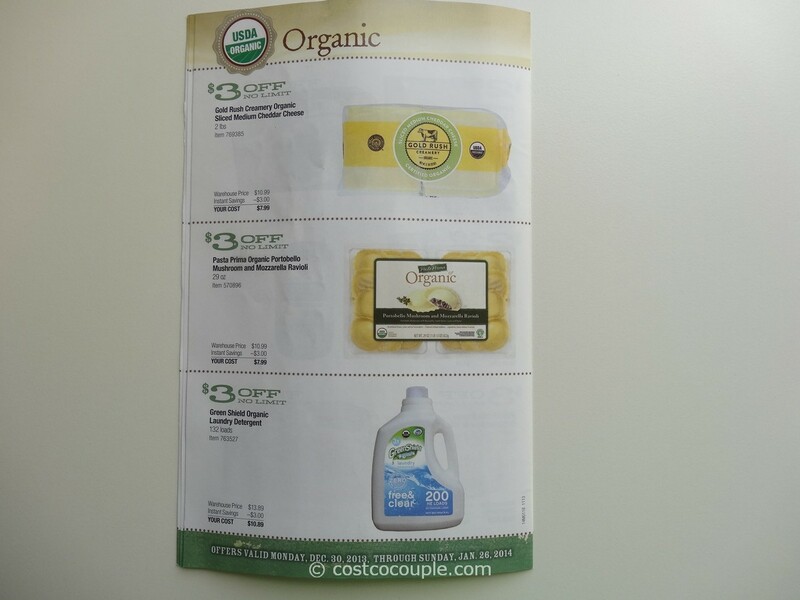 We’ve tried a few of the products featured in this booklet e.g. 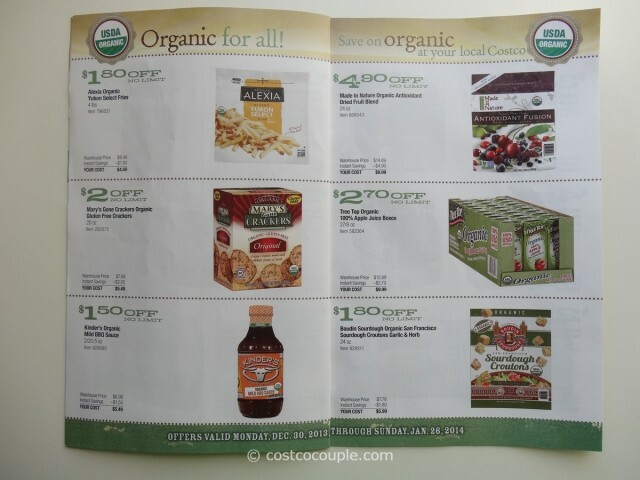 the Late July Organic chips, Go Raw Organic sunflower seeds, Bare Fruit Organic Apple Chips, House Foods Organic Tofu. We purchased the Pasta Prima Organic Portobello Mushroom and Mozarella Ravioli yesterday and had them for dinner last night. They are very good! 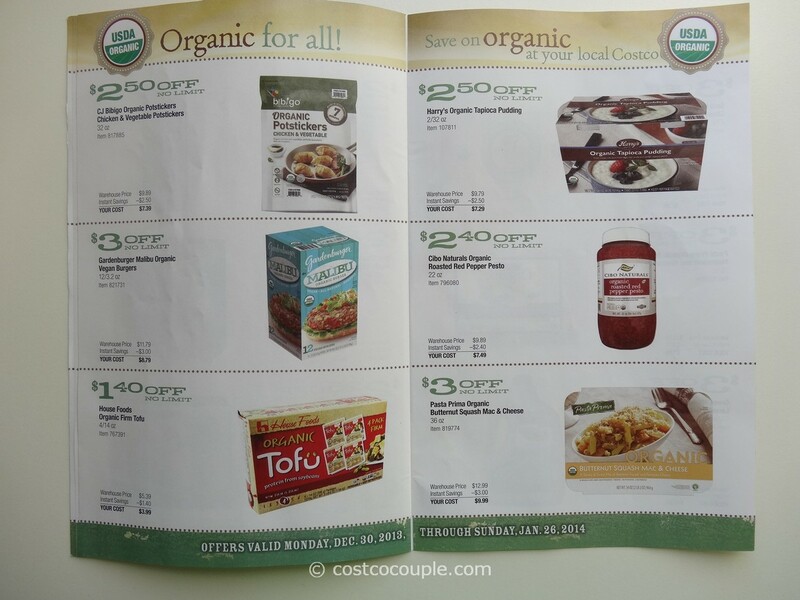 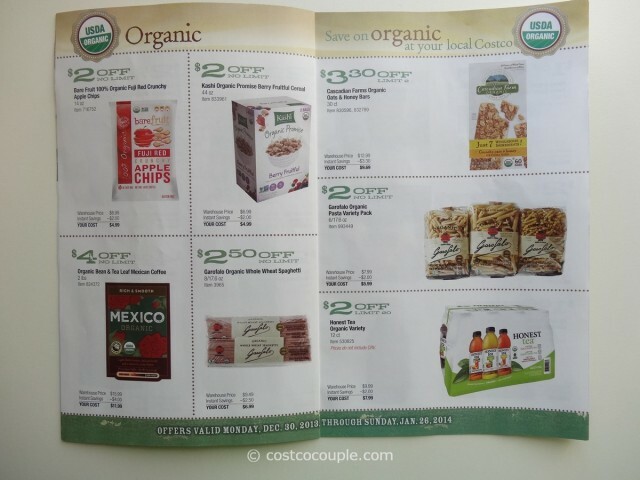 Have you tried any of the items listed in this organic savings booklet? Last Weekend for 2013 July’s Coupon Book and Other Discounts!